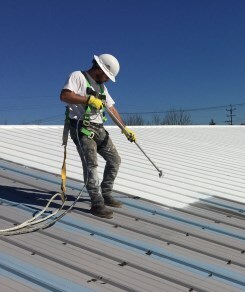 Choice Roof Contractor Group’s roof coating systems extend the durability and life of your current commercial EPDM roof, while also adding superior protection and energy savings. Those who have selected the Conklin® rubber roof coating systems we install oftentimes recommend them as a smart move. They can solve any roof problem and as importantly will help prevent damage from happening in the future. 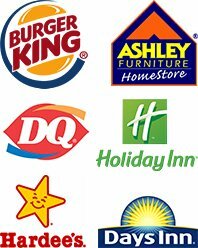 Is Your Commercial Roof Protected? While everyone is busy working inside the building, the roof is providing a constant shield from the elements. The roofing system must be able to withstand the constant abuse from wind, rain, snow, hail, heat and cold. The roof is protecting the building, but what is protecting the roof? In most cases, there is nothing protecting the roof, and it doesn’t take very long for problems to start appearing. That is where Conklin rubber roof coating systems come in. They add an extra protective layer that helps to protect the entire roofing system and everything underneath it. These commercial roofing systems can add up to 18 years of guaranteed additional life to your current roofing system with just one application. Why pay for constant “patches” or purchase a whole new roof? 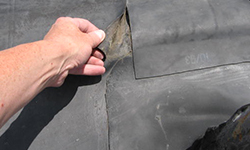 Conklin Rubber roof coatings will take care of the inevitable issues caused by aging EPDM. Immediately you will receive true energy savings, and also get Class A fire-resistance. 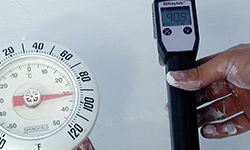 We invite any building owner with a rubber roof to investigate our next-generation processes that have verified reliability in real-world conditions. Choice Roof Contractor Group™ will demonstrate to you how the process goes far beyond a rudimentary patchwork. Our customers love the long-term solution provided by an EPDM commercial roof coating and appreciate how we prevent any future wear and tear before it results in an emergency. What Happens When Your Existing Roof System Goes Unprotected? The most common sign is a slow, but steady water drip. What seems like a simple leak can turn out to be a huge waterfall of problems. Even though you can’t see it, the water that is coming from the leak you have just spotted could be making its way throughout the entire building. Once the drip has destroyed all of the insulation, it will start making its way into the walls of the building where dangerous toxic mold starts to grow. Your energy costs will rise. Your building will start to deteriorate, and everyone working within the building will be at risk from mold and structural damage. How Long Will Your Roof Remain Leak Free? You may be wondering how long your new Conklin rubber roof coating will last. Here is the good news. 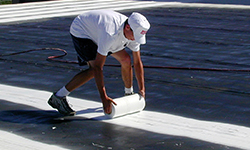 Conklin rubber roof coatings have been proven to extend the life of existing roofing systems for decades, and Choice Roof Contractors fully stand behind this claim with an 18-year, non-prorated warranty. This is not some warranty that fails you the moment there is a problem. If there is an issue within the 18-year warranty span, our Choice Roof Contractor will usually cover both labor and materials. 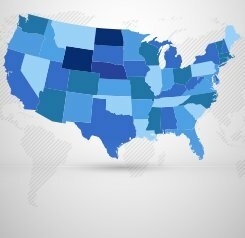 Notably, warranty claims are reported at less than one half of a percent. What Are Your Options In 18 Years? Once your warranty has expired, a simple recoat is all it takes to give your commercial roof another 18 years of guaranteed, outstanding life. There is virtually no need for a roof replacement once you have invested in a Conklin rubber roof coating. Our roof restoration systems are fully renewable. Let’s face the facts. Energy costs are on the rise. It may seem like you just have to deal with it, but that is not the case. There is one very unique way to lower your energy costs, and keep them low. A Conklin rubber coating is the smart choice. By acting like an insulating barrier between the building and the heat and cold outside, a rubber roof system from Choice Roof Contractor Group can help you keep those rising energy costs lower. 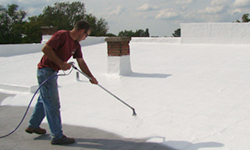 The rubber roof coating is able to quickly pay for itself in savings. Don’t wait to protect your commercial roof. If your current roofing system is not coated and unprotected, then you are wasting your money on unnecessary energy costs. It is only a matter of time until problems start making themselves known. Give us a call today, and we will show you why Conklin rubber roof coatings make the most sense for most commercial building owners.